In a once-off, the Gr.3 Prix Imprudence and Prix Djebel were run at Deauville in 2018 but return to Maisons-Laffitte on Wednesday. Respectively for three year-olds fillies and colts, these two events have for many years been useful indicators for the first classics of the season, whether at Newmarket or just a few miles down the road, at Longchamp. Winner of the Prix Miesque at two, Devant is the only filly in the Imprudence to have won at group level. Unseen in public since last October, she will be taking on the lightly-raced but no less capable Watch Me who won the Listed Critérium du Languedoc at Toulouse late last season. 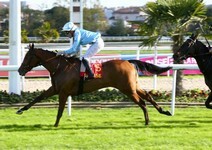 Pure Zen, who beat Sunday’s Gr.3 Prix La Force winner, Shaman, at two also looks a serious prospect. Suphala won a brace with ease last year before being put away for the winter and is not here for window-dressing. She outraced stablemate Lucky Jolie in a maiden last autumn and again looks to have the advantage. As for the Djebel, Graignes showed considerable class last term and if he can reproduce the form he showed when third to Royal Meeting in the Gr.1 Critérium International, will be a hard act to follow. Yann Barberot is targeting the Poule d’Essai des Poulains for him and will be firmly on track if he can live up to expectations, but Alex Pantall’s Amilcar will be a serious contender if he has come on as expected over the winter. Toijk missed out by the smallest of margins in the Gr.3 Prix de la Rochette late November and the Nigge duo will be justifiably bullish about their colt’s chances. Harmless is unbeaten in three to date, and while the Wertheimer’s manager has been loathe to promote the colt’s chances after the injury he sustained in the Prix Roland de Chambure, he is hard to ignore. Munitions, Pretty Boy and Marie’s Diamond may not be of the same calibre but are in the field with legitimate ambition.